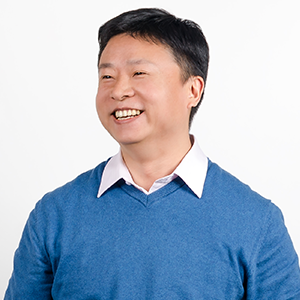 Here’s another edition of our ‘Meet the Team’ interviews and this week we profile the work of our Beijing based Technology Director, Jack Wang. Jack heads up a talented team of developers and technicians who are constantly working to enhance our software and platform offerings. We spoke with him to tell us more. How long have you been with Jonckers? 10 years now! From 2013 to 2014, I left Jonckers for 18 months for more technology training and re-joined in 2015. How has the company progressed in the time you have been here? In 2006, I started as Operations Manager at Jonckers Beijing office. It was an amazing experience to build an office from the ground up and to work with talented people from different countries. I had the opportunity to experience, to learn and understand various cultures, different ways of doing business and to see the world through a multi-dimension and colourful lens. There are no smooth roads in life, like any localization company, we went through some hard times. The good news is we survived, evolved and have maintained a steady growth over the past 3 years. I trust Geo will lead the company into the next level. Building Jonckers WordsOnline and Neural Machine Translation engine. During a trip to Hanoi last November, Geo (Jonckers CEO) described his vision of the WordsOnline and NMT platforms to me for the first time. It turned out we shared a lot of similar ideas for the delivery. Thanks to the hard work from our technology team and great support from the whole company over the past 6 months, WordsOnline is now live and connected to Jonckers Neural MT for the top 5 requested languages. Where do you see the future of translation technology? The possibility to produce high quality translation from Neural MT will fundamentally change the way we work today. When NMT is trained properly for the technical domain, machine translated content might require light post-editing to reach the same quality level of a human translator. The shift from CAT (Computer assisted translation) to HAT (Human assisted translation) is happening now. Agile development, continuous publishing, the need to translate more content with less cost will accelerate the adoption of NMT. Companies could use the saved cost to translate more marketing content or literatures to expand their global reach. In that sense, NMT frees human translators from the tedious work of technical translation, meanwhile gives them more interesting and creative work in marketing content and literature translation. What is you and your teams key objective for the remainder of 2017? Implement WordsOnline on 50% of the revenue, and build NMT for top 10 languages.